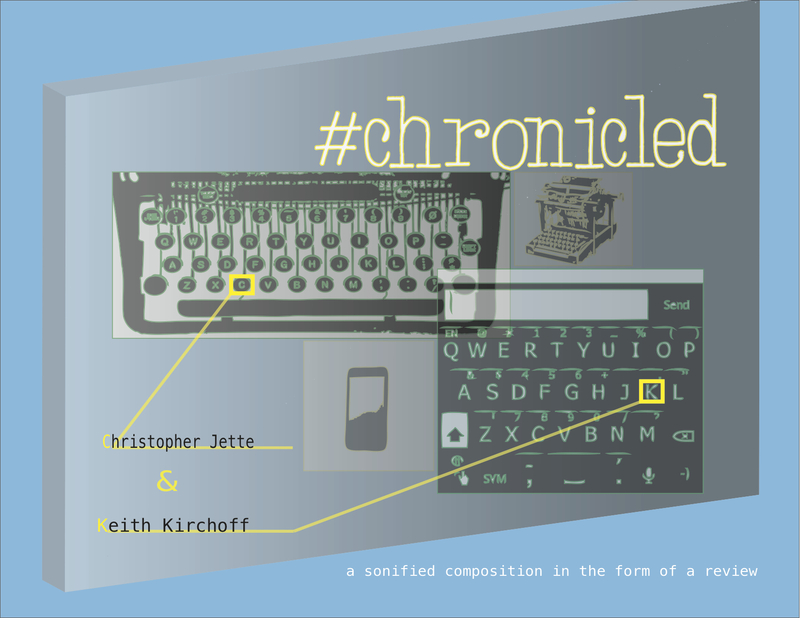 Details: #chronicled is a multi-disciplinary musical work that critically explores contrasting media used for the dissemination of information. The work is a live electronic music piece with an equal stage component. Two performers present simultaneous reviews, in text, of a live electronic music performance. One review is typed as a long form essay on a mobile device while the other is a series of tweets executed on a manual typewriter. Each performer’s typing is used as the control input in the creation of the sound work. The work was commissioned by the Ammerman Center for Arts and Technology at Connecticut College for the 14th Biennial Arts and Technology Symposium where it is premiered.